Bob Boross is known internationally for his work in jazz dance, tap dance, and musical theatre dance and his company Bob Boross Freestyle Jazz Dance. Bob will give classes in the freestyle jazz dance technique of jazz legend Matt Mattox. 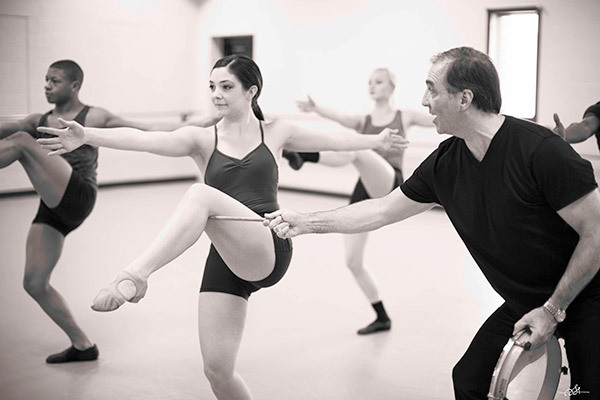 Based in concepts of ballet and the grounded style of film choreographer Jack Cole, the Mattox technique creates dancers who are precise, fluid, passionate, and in complete control of all aspects of the body. The class is of value to theatre, modern, and ballet dancers who desire a jazz dance based class that embraces concert dance integrity over commercialism. Beginner/Adv Beg class is for skilled dancers who want a deeper explanation of class exercises, while the faster Int/Adv class is suitable for high level dancers who desire a strong challenge. Exercises emphasize isolations and complexity in movement, while combinations mix strong technique with jazz feeling. Classes will be held from 6:00-8:00 p.m. at Pearl Studios, 519 Eighth Avenue (between 35th and 36th Streets). Monday, June 6th, beginner/advanced beginner level. Room 1209. Tuesday, June 7th, intermediate/advanced. Room 412. Wednesday, June 8th, intermediate/advanced. Room 1214. Class fee: $15 single class. Register and pay online by June 5th for a multi-class discount: $25 for two classes, $30 for three classes. Registration before June 6th is strongly suggested, but students can register at the door if space is available (payment with cash or credit card). Students (or a parent if the student is under 18 years old) will be required to sign a release of liability. To register please contact Marian Hyun at Marian@jazzchoreographyenterprises.org. To learn more about Bob, check his website: www.bobboross.com. All of JCE’s programs are made possible in part by contributions from our corporate sponsor, Salon Ishi.